SCORM Cloud takes care of all your eLearning needs from testing standards-based content to delivering courses and reporting on results. Log in to SCORM Cloud online to manage your learning in one place or integrate SCORM Cloud functionality to your application via our API. Each SCORM Cloud account includes an LRS, in-depth reporting and delightful support. Sign up for a free trial today. SCORM Cloud Invitations are a simple way to deliver courses to learners and track results. After uploading a course to SCORM Cloud, choose from Public or Private Invitations to share your courses with learners. Public Invitations help you generate a public link that you can post anywhere. Private Invitations let you control access to training by sending your course directly to learners via email. SCORM Cloud Dispatch helps you deliver your courses to other LMSs or learning systems while hosting your content in your SCORM Cloud account. 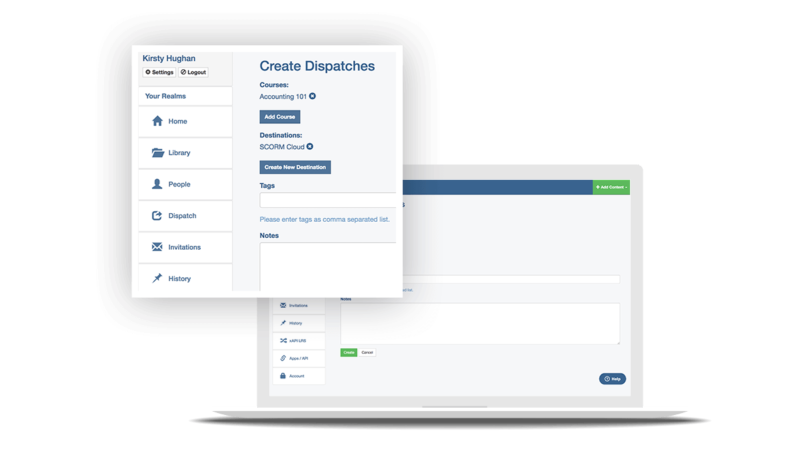 Use Dispatch to ensure your course can play in any LMS, seamlessly update the new version of a course in multiple LMSs, disable course access when a license expires and consolidate data about content usage across learning platforms. Use SCORM Cloud to understand how your SCORM, xAPI, cmi5 and AICC content will play in LMSs and learning systems. Just upload your course, preview your content in the sandbox and use the debug logs to troubleshoot any issues. SCORM Cloud doesn’t test for strict technical conformance. Instead, it gives you visibility into what’s actually happening while the course is importing and running. 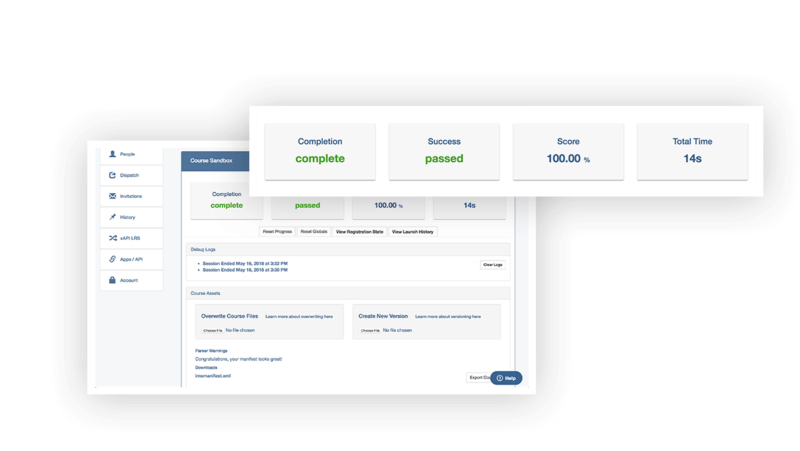 SCORM Cloud includes out of the box reports to help you track course completions, see question-level details and more. 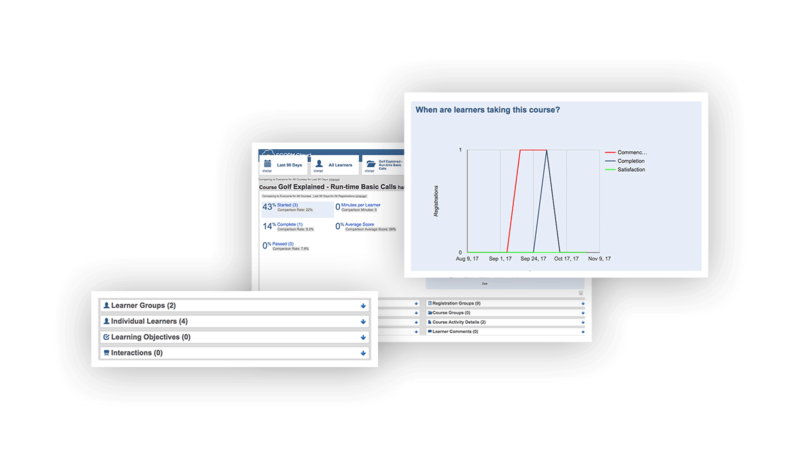 All reports drill down to the course-level or learner-level, or can be viewed in aggregate. SCORM Cloud reports are also easy to export if you want to do further analysis. 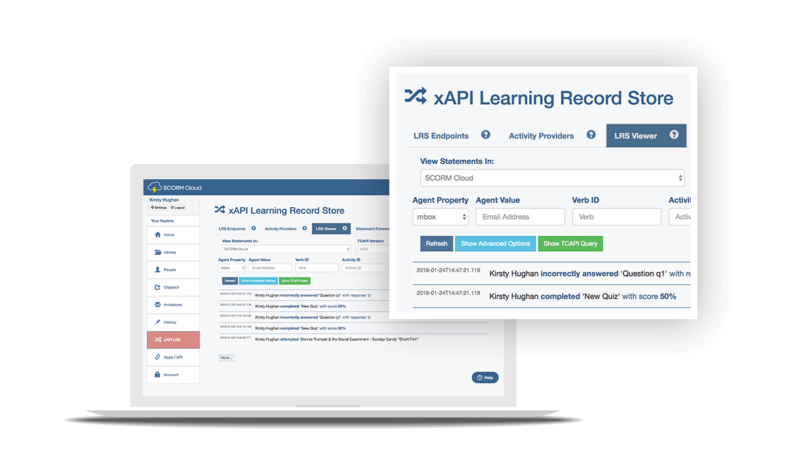 Each SCORM Cloud account comes with a Learning Record Store (or LRS) so you can get started with xAPI. Set up multiple activity providers, forward statements to other LRSs and query xAPI statements from SCORM Cloud’s LRS. Whether your learners experience xAPI activities assigned to them online or initiate learning on their own outside of Cloud, SCORM Cloud can capture their experiences. We take pride in delighting our customers. We even monitor the success of our support tickets with our Delight-O-Meter. After working with our support team, we dare to say that you’ll actually like working with SCORM. Our team doesn’t just fix things when they’re broken; they’ll teach you how things work (yes, the app and the standards) and make sure all of your questions are answered. You have a few ways to reach us: give us a call, shoot us an email or check out our Knowledge Base. We’re at your service. The SCORM Cloud API lets you bring all of the functionality of Cloud into your application. Our customizable, fully responsive player helps you import and launch SCORM, xAPI, AICC and cmi5 content. By using the SCORM Cloud API, you can seamlessly integrate standards support in your platform, while enjoying a fully hosted, reliable service. We have set up SCORM Cloud’s infrastructure to ensure it’s safe, secure and available. 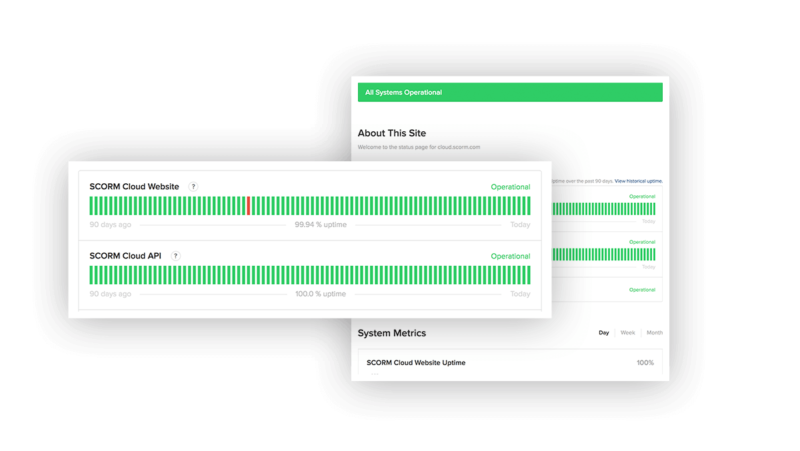 We use Amazon Web Services for our infrastructure and CDN support and we utilize the SANS 20 Critical Controls (20 CC) framework as our set of guiding principles for infrastructure and network security management. Our SCORM Cloud Infrastructure webpage includes all the fine details regarding data access, privacy, availability and more. Get started testing, delivering and tracking courses today. No matter which monthly pricing plan you choose, you can scale up or down whenever you’d like. If you want to learn the nitty gritty of SCORM Cloud pricing page, our dedicated SCORM Cloud pricing page is just for you. per month?The charge for each plan incurred every 30 days. If you are a Tennessee resident, you’ll be charged sales tax. Not sure how many registrations you need? SCORM Cloud pricing is based on the number of registrations you need each month. Registrations refer to the record of a learner being associated with a course. Uncertain which plan you need? Our monthly pricing calculator will help you identify the number of registrations you’ll need a month so you can choose the plan that is right for you. These are just some of the companies using SCORM Cloud today. Want to talk about SCORM Cloud? Get in touch to talk about how SCORM Cloud can help you.